Founded in 2012 by Denali Jordan, Humanity for Horses (HFH) is a California-based equine sanctuary. With approximately 105 Thoroughbreds in their care today, the organization will ultimately be able to take in up to 400 Thoroughbreds. HFH obtains horses directly from owners and trainers who can no longer care for them, with occasional direct requests from Golden Gates Fields. Luna Russo, intake coordinator, said they also receive unadoptable horses from other rescues. 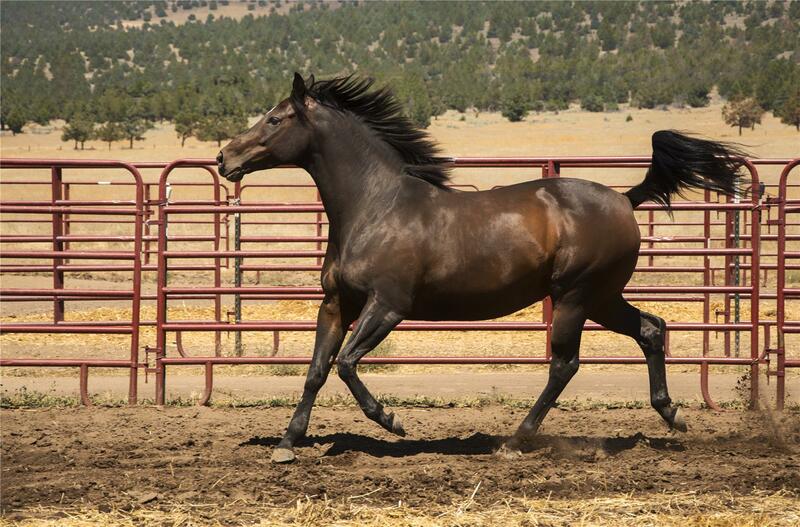 These horses typically cannot be ridden and are better suited to a sanctuary. Once a horse reaches HFH, it has a new permanent home. Thoroughbreds arriving at HFH from the track or another rescue are not generally quarantined but are evaluated by a vet to determine any specific health concerns, and a program is created based on the individual needs of each horse. Laser therapy is commonly used on Thoroughbreds with arthritis and leg injuries. Although currently a closed sanctuary, groups are permitted by appointment for educational walking tours on the farm. During the tours, the staff shares stories about the race careers of the horses and provides basic information about horse care for visitors. HFH would eventually like to expand their program to include equine-assisted therapy for children and military veterans afflicted with PTSD. “There isn’t enough we can do for the animals. As much as we do for them, they do so much more for us,” says Russo.